Aviation Trails | A trail around Britain's historical airfields many lost to developers or mother nature herself. Come along on a voyage of discovery and nostalgia. These series of trails are the musings of an aviation enthusiast with too much time on their hands. I simply have a love of aviation (in particular military) having been introduced by my father’s stories of his time in the Royal Air Force during the 1950s. Me, My brother and my sister at christmas a long time ago. I grew up in the 60s and 70s when British aircraft ruled the world, fast jets adorned the skies over Britain which, at the end of the Cold War, had been ready to tackle, head on, the threat of Soviet Russia and her allies. Like many children of that era, I spent many an hour perched at the end of runways, peering through fences, often with armed guards loitering close by, and generally staring skyward. I lived nearby to what was the British Aerospace development at Bitteswell, Leicestershire. Standing at my parent’s bedroom window, I could see Vulcans and the like circling following modification work. I developed a knack for locating disused airfields through the car window, where I would drift off into my own little world, visualising aircraft taxiing and lifting off into the skies above war-torn Britain. As a child I dreamt of fast jets and soaring above the clouds in formation. My brother and I would spend our holidays building complex cockpits between our beds, drawing each and every instrument using cockpit photos and magazine articles as guides. Sheets would form the roof, shoe boxes throttles, and old headphones as radios. We lived the fantasy, and for a few hours a day we were pilots – we were living the dream. Unfortunately, the dream never turned into reality. But my love of aviation never died. My dreams of what it must have been like continue on, and my frustration at the state of old airfields and their deteriorating significance to our heritage, is stifled by the understanding of developmental needs and the continuing high maintenance costs they require. I feel saddened by old aircraft rotting in farmer’s fields, images of bone yards, vandalised airframes and aircraft discarded like unwanted pets in the rain. These are, in many cases, the reminders of what was the sacrifice of the many thousands of men and women who gave their lives in wartime, flying over foreign lands, knowing that at any minute, their time may be up. They deserve more. They deserve better. I have an envy of those who have given up their time to help preserve this heritage of this fantastic aviation country, I admire their dedication, their determination and above all, the fact they can sit in the cockpit of an aircraft and do what I dreamt of for so many years as a child. To them, I thank you. I am not an expert; I do not pretend to be. I decided to write these trails based on my experiences, adding in links where I could. They are not conclusive, and factually may not be reliable. They have been created in my spare time when I have taken my self back to the ‘good old days’ and are purely to share my thoughts and experiences. If you like them, great let me know, leave a message. So, why not join me on a nostalgic journey through the second world war and beyond. It’s great to have you along. 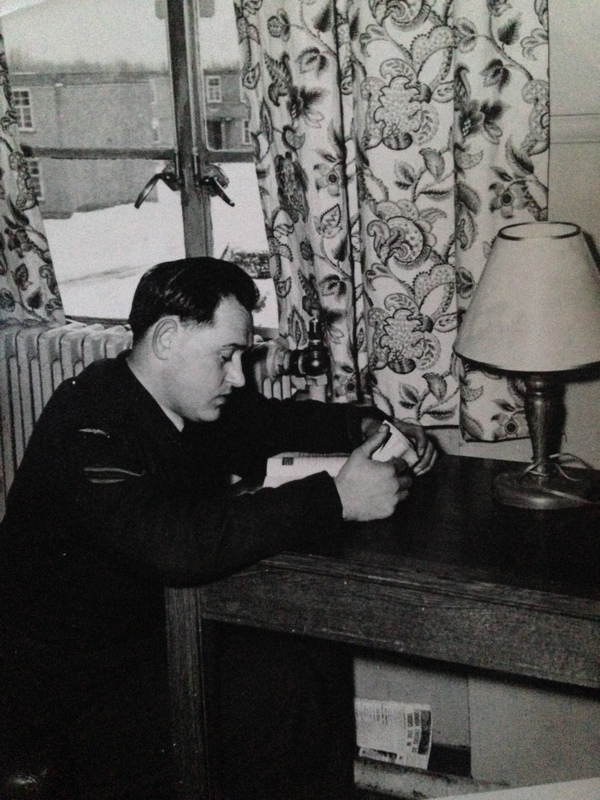 My Father at RAF Manby before being de-mobbed. On a final note, I wish to extend my gratitude to the lovely and hard-working Marcella, who has helped with the endeavour, researching and reading posts for me. Hopefully, she will one day be able to experience them for herself. Where to begin? 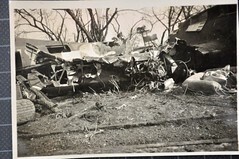 Just last night I discovered your superb website through contact with Mitch Peeke as I learned of his organization of a commemoration of the June 19, 1944, Allhallows area collision that still entombs my Uncle Cecil Tognazzini, Flight Engineer/Top Turret Gunner on the B17 44-6133. How I came to know of him/you is a fun story that dates back to 2013 when “inherited” my dad’s contact with another British enthusiast/researcher Geoff Burke, and with him visited Kimbolton, the Cambridge American Cemetery, and the RAF Museum; and, on my own visited Canvey Island and the beach at Allhallows – creating friendships along the the way of my own journey into my Uncle’s history and fate. In addition to Geoff, those friendships include Janet Penn, Canvey Island resident and local historian; Peter and Jean Holmyard, homeowners in the holiday park at Allhallows who took a chance on this traveling American to allow me to fulfill a dream of my dad, Cecil’s only brother, and walk the Allhallows beach; and Jeanne Crons Campbell, the only child of the sole survivor of Cecil’s plane. Those friendships led Geoff, Jeanne, and I to initiate plans to attend the Canvey Island 75th Anniversary Commemoration this coming June 19 even before I happened upon connecting with Mitch. We are now making plans to also attend the Allhallows event which Mitch has organized for June 22. I would welcome the opportunity to meet you at either or both of these events — so that I might tell you in person how wonderful and important your website work is. 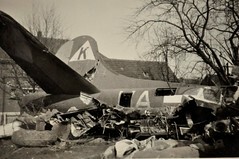 Just today I have read your Trail 6 description ( https://aviationtrails.wordpress.com/choose-your-trail/part-6-american-ghosts/ ) – with great fascination as I relived my own visit to the Kimbolton airfield in 2013 with Geoff — and enjoyed Mitch’s excellent and detailed description of the crash ( https://aviationtrails.wordpress.com/2019/01/06/the-story-of-two-b-17s-colliding-over-canvey-island/ ). I would also like to send you separately the poem my dad wrote that prompted me to find and walk the Allhallows beach in 2013. I am hopeful that we can meet in June. Hi Noel, what an honour it is to hear from you and thank you very much for your very kind words about the site. It kind of started because of a friend I met through twitter whose father was a B-17 pilot also at kimbolton. She publishes the diaries he wrote after each mission. 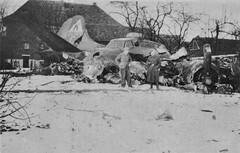 http://sites.google.com/site/ww2pilotsdiary/. I offered to go and visit the airfield for her which is not a million miles form me here, which I did. I had been thinking about recording my trips and so partly because of this, the site was set up. I like to think of it as my way of honouring the many brave souls who took to the air from Britain’s airfield many never to return. I also do it in memory of my own father who died last year, not a ww2 vet but serving from 46 – 56. Mitch and I met through the site also, he seemed to find me and so we got talking, I think he has done a marvellous job and deserves great credit for the time and effort he has put into this project. It should be a fabulous day and a great way to honour the crews especially your uncle. I would love to meet up on the day of Mitch’s event. I can’t make the other as I teach and being off in the week is nigh on impossible. Please do send me the poem, if it’s ok with you I’d like to publish it on here? Perhaps a little background information to personalise it would be nice. You can email it to me at andyplaing@aol.com. I really look forward to the day and also to meeting up with you, it will be a remarkable event and one I’m sure none of us will ever forget. All the very best to you, and thanks again. In your trail on RAF Sawbridgeworth I wondered where you got the historical information from, as it is remarkably similar to the text of my book ‘Where the Lysanders Were…..’ without actually being credited to it. 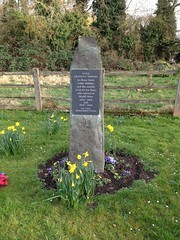 However, in relation to the siting of the memorial by the Hertfordshire Airfields Memorial Group, it is sited at the old Shingle Hall entrance to the airfield, in front of the Guard and fire party house, not a medical block. Thanks for getting in touch and thank you for the correction, it is very much appreciated. Please rest assured that any similarities to your book are completely co-incidental and unintentional, the sources used being those listed at the bottom of the text. You will see there is a substantial amount of information on the websites linked, small amounts of which I used in conjunction with other sources such as Jefford’s RAF Squadrons to confirm listings of users of the airfield. I am unaware of your book and can confirm that it was not used in the writing of the page. I hope this clarifies the position and thank you again for your correct information. The caption talks about THE CRUSADERS. Hi there, it sounds like a fabulous painting and a limited edition into the bargain. I visited Wendling in Trail 10 (https://wp.me/P4xjD9-83) you might want to have a look. Great site. Thanks for sharing it. Thank you! Im glad you enjoy it. I have only very recently discovered the Aviation Trails site. Much impressed! A virtual meeting place for kindred spirits! Very glad I dropped by! You are doing a grand job Andy! Thank you Mitch, very much appreciated, it’s always nice to know you’re doing it right! My father was based at East Wretham airfield from 1943-1945 in the 359th Fighter Group, USAAF. Although I have visited England twice I was not able to get to East Wretham. The only “visit” I have made has been via Google Earth and it takes a lot of imagination to “see” the airfield and it’s facilities. I wonder if you have been there. As a US Army aviator having served in Vietnam I have written a blog of my experiences and I will be following your blog entries with interest. its very good to hear from you and thank you for the follow and for telling me about your father’s service at East Wretham. I have indeed been there, it is used by the Army now as part of a large training camp. Parts of the former airfield do still exist, especially the bomb dump, which is an open public space, and quite differnt now to how it was back in wartime. You can read about my visit in Trail 13 https://aviationtrails.wordpress.com/choose-your-trail/trail-13-southern-norfolk-around-diss-part-2/ simply scroll down its the third of the three airfields. If you send me a link to your blog I would love to take a look, first hand accounts are of tremendous value and incredible records of a time gone by, I imagine many of my followers would be interested to read it too, especially as its from your time in Vietnam. I can’t even begin to imagine what you went through. I have a friend whose brother served there, the helicopter he was supposed to fly in was shot down moments after taking off killing all on board, he was traumatised by the event and suffers to this day. If you have any photos or information you can add to East Wretham from your father’s time, I would love to see/hear them, they would be a valuable contribution to the page. Thanks for reading and adding a comment, it is always appreciated, please do send me your link. Hi Peter. Thank you for the additional information and for the link. You certainly have a lot of history in your family! Hi Janel, thanks for contacting me and dropping by. May I first wish you every luck with the restoration project, I can imagine it’s a huge task! I could do a short post for you to help promote it, you never know someone else might also be able to help. I have a few possible sources that may offer the photos you wish, it’ll take a little while to search through them so please bear with me. I may have to send links as the copyrights won’t be mine, but I’m sure you’ll be able to sort that out. I’ll have a look using the information you provided and get back to you in the next few days. Sadly my day job gets in the way! Hi Andy – what an excellent idea! Thank you for liking my post about my father and his crew. My pleasure Frank thanks for sharing it. As you may have guessed I am rather interested in this area and enjoy the ‘personal touch’ to history. It really brings it alive and adds such meaning to it all. I live very near Tempsford Airfield, Beds which our local Central Beds Council plans to invade with up to 20000 houses. So throughout this 2017 summmer some of us have been preparing to write representations to the council opposing the 290 plus draft planning document. We have our closed face book site which we would love you and interested people to join, and the Tempsfrod museum has one too. We have spent time researching the history of this magnificent site-deemed brownfield and thus ripe for development within 2 years. The bad news is that our MP, Alistiar Burt, is not interested. The good news is that historians, veterans are hand in glove with Lady Erroll the landowner, the council and developers to safeguard the SOE humble Gibraltar Farm; on the veterans website you can now read the plans to make the isolated barn a heritage site. However,the fact that this historical site has been largely ignored by the present land owner for decades, means that locals are cynical about the motives now used to promote the site. We are also insignificant . Lady Errroll told me herself recently that to go inside the barn costs 100 pounds for 10 visitors-fewer are not allowed and many of us can cite incidents which illustrate that whilst Lady Erroll might welcome the veterans from time to time, she dismisses any local interest in the WW2 sites which are on her land. Thankfully the nearby public bridleway means that we often deviate from the path to pay our respects to our WW2 heros and heroines. The promotion of the site will obviously be a profit making operation from which we’ll be excluded again. Some of us are campaigning to preserve the fields around the barn as without them this camouflaged airfield which the Germans never discovered means little. The ABCT have been wonderfully supportive and through them I am learning about the lack of respect shown to and knowledge of our airfields. Your site is also terrific and I hope to refer to it often in the future.Sadly it is becoming rarer to meet people who do things out of sheer passion-like you. Vested interests everywhere are making ordinary members of the public more passive and/or cynical-” what can we do?”.. ”they will do what they want anyway” …So the future of these airfields looks even bleaker as developers are being encouraged by government to seize more and more of them. So sad. We need overseas admirers of these airfields to lobby our government-it seems dangerously shortsighted to me to be selling so many of them off for house buildiing; if not useful for defence and/ or flying, they are inimitably versatile spaces aren’t they? Incidentally I cannot find Tempsford on this site. Please could you either point me in the right direction or explain why it is not mentioned? I know it was so secret that even now records are thin as so many operations linked with it were top secret. If you have any unusual bibliography sources they could be useful too. Hoping to hear from you when you have the time. Thanks again for an inspiring site. Thank you Theo. Many readers are from overseas, but hopefully some will see it and get in touch. Thanks for coming by, it would seem we do share a common interest, I shall take a look at the website, the books sound interesting and full of information. Maybe some of my followers may be interested also. Thanks again, Andy. Hi Andy. Just a quick note with reference to RAF Swannington. The picture you have shown as the Sergeants Mess, is shown on the 1944 Air Ministry Map as a Stores, however, more importantly the owners of the Park on which the building is (sorry, was) situated, decided one day to unceremoniously demolish it. What made it worse was that it was demolished on the very day that the company who own the Park went into administration. There are many houses that overlooked this building and all the residents without exception loved to see the building, knowing of it’s historic past. It’s a great shame that there are people who put profit before our country’s heritage. On the morning of Saturday 11th November 2017, there will be a service of remembrance held at St. Peter’s Church, Haveringland, in memory of those who died whilst serving at RAF Swannington on 85 Squadron and 157 Squadron. There will be a small display of photos and information about RAF Swannington, shown in the church on that day. Anyone living near or far are welcome to come along to the service. Hi Mike, thanks very much for the correction, I appreciate any feedback on these and regretfully do make some errors. It is as shame that these places are knocked down without thought or care for their history or the feelings of others, sadly it happens all too frequently I find. I shall put a note out later about the service, most of those who read this are not local, but it may just highlight the event to someone in passing. Thanks again for giving feedback and the information. It is very much appreciated. Hi, thanks for the update, I’ll put a post out for you using the information and link you’ve given me, hopefully it might help gain a few supporters. All the best with it. Andy. Great blog and I know how much work you have put into it. I had a friend (died in 2007) who flew on a Kiel mission laying mimes to trap a German convoy in the Baltic. I too have a WordPress blog relating to places and people we have met during 45 years of travel and I am writing about at this moment using stories from my friends journal and from what he told me in the 1970s. 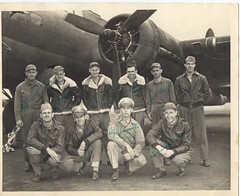 I would like your permission to use the photograph of the crew in with the bomb with Kiel chalked on it. My link is http://www.tbeartravels.com email hillier.bev@gmail.com If you permit me to use I will of course credit and link your blog. After you read the post (will not be posted for another couple of weeks you might see some pics I have you might like to use. I would have to get my friends children to give you the ok but there will be no problem. Hi Fred great to meet you, I’m glad you enjoyed the blog, I shall take a look at yours, it’s sounds fascinating! Of course you can use the photo, (actual copyright ownership should be with the photo on the page, it’s IWM – not mine). if there’s any others you would like please let me know. Did your friend fly from Downham market do you know? Or elsewhere? I look forward to reading your post. Kindest regards Andy. This is a FABULOUS web site. Great information. You and I have a great deal in common. I soloed when I was fifteen but had to wait one year until I got my drivers license before I could take my check ride. I learned to fly in a Piper Tri-Pacer–fabric-covered two-seater. My love of aviation is somewhat genetic. My dad served in a B-29 Bomb Wing during WWII, He served on the island of Tinean in the South Pacific and actually worked on the Enola Gay. I definitely will be a daily visitor to your site and thank you for taking a look at mine. The very best. Bob J. Really good to meet you Bob, thank you for your very kind words – I’m glad you found the site interesting. You must have some interesting stores to tell from your father, I will definitely take a look at your site! All the best! Andy. The sense of loss is sometimes overwhelming, what must it have been like to be there then to witness the events. All we have left are the crumbling remnants of heroic deeds and daring do. So sad, fortunately your efforts are making it seem a little more real again. Thank you. Looking forward to receiving more posts and may join up on a jaunt or two. Good to meet you Andy, thanks for the reply. Exploring airfields is an undifinable passion and one I’ve been unrepentantly guilty of for many years. It’s something that you must do with a like minded chum or two, two or more sets of eyes definitely see more and miss less. My highlight was meeting Vets from the 388th at Knettishall and a few of the guys signed my B17 at War book, where the centre spread was all about the 388th. What a privilege that was. The local pub in Coney Weston had a picture of one of the Vets aircraft! Which I now have a copy of. Living in and exploring Wiltshire airfields, walking my dog on RAF Everliegh. Lots still here to see including live military aircraft types. Please could you add the Musuem at Old Sarum, as was previously the Boscombe collection. Looking forward to meeting up for a stroll, although I find bicycles can cover more ground. Cycling down a B17 runway is never to be missed. Hi Paul, meeting vets certainly is a privilege and one few of us get to do these days. Take the chance while you can and make the most of the stories they have to tell. It’s one of things that I feel lacks on the blog, historical facts are one thing, but human stories are another dimension altogether I try to add some where I can but it’s rarely through first hand discussions. As a general rule the places I have on the blog are only ones I’ve visited, but I’ll make an exception this time (as it’s a recommendation) and add the Old Sarum site for you. You could always do a write up yourself and have it added! It’ll take me a few days, sadly the day job gets in the way but it’ll appear soon. Enjoy your walks, perhaps as you say we can meet up, two pairs of eyes certainly my are better than one! All the best and it’s great to have met yet another supporter of these sites and these wonderful experiences. Wow I’m glad I came across your blog I really enjoyed reading your posts! Thank you! I’m glad you found it interesting, I shall take a look at yours too. Thanks for the link. Hi Andy – Steve from RAF Stoke Orchard here. I wanted to publicly recognise all the great work you do in your efforts to catalogue our long forgotten / often remembered concrete leviathans called Airfields. Your mails are a delight to read and contain a huge amount of information. Well done ! Power to your elbow ! Hi there Steve, great to hear from you again, I’m glad to see your still reading my ramblings! Thank you so much for your kind comment, it’s always appreciated! You have such a terrific site Andy. Your passion and love of aviation archaeology shines through each post, It really is a pleasure to read every trail and to learn something new each time. Thank you, Rich. Thank you for your kind words Rich. I must admit when I started this I didn’t realise how far it would go (I’m now writing 39 and 40) and as I go on, I find more and more things to write about. I am struggling to keep the word count down and find each one is getting longer and longer. As a youngster I bought a small pocket book of a similar name, I still have it, and it’s what gave me the initial idea. I’m glad you enjoy it Rich, it is a passion and I’m glad that others can share it with me. Love the site. Thank you for keeping this airfields in our memory. You are welcome. And thanks for the kind words. Hi Rebecca, it’s so good to hear from you, and thank you for your kind comments. It is a passion of mine as you can clearly see. I believe that these men and women deserve to have their stories told and these sites, where many spent their last hours, deserve to be honoured. Too many are disappearing beneath housing or farmland without due thought to the events that took place upon them. I was only today planning my next trip which actually includes Framlingham! I aim to go there next week and visit what is left of the site, and walk across it where access permits. I will obviously take photos and share anything I find with you. I would love to tell your father’s story with my readers if that is ok with you, perhaps Marcella could talk to you in person which might be easier for you. I look forward to seeing the photos and hearing more about your father’s time during the war. Do please keep in touch. Very best wishes and kindest regards, Andy Laing. Hi Again Rebecca, I have sent yo an email, I hope it arrives safely, if not please let me know. Thanks again, Andy. Pen and Sword Books is the UK’s leading Military publishers and I was wondering if you would be interested in becoming a reviewer of some of our aviation titles? Please take a look at our website, if you’re unfamiliar with our company, to get an idea of some of the titles we publish. http://www.pen-and-sword.co.uk. If you’d like to discuss this opportunity further, please email me at digitalmarketing@pen-and-sword.co.uk. What an excellent website! Many thanks for sharing a ‘shared’ passion. I have always been interested in military aviation as long as i can remember but as time goes by the opportunities for those magic ‘peering through the fence’ at the end of runways is gradually disappearing, with less and less aircraft types and a dwindling selection of active airfields to visit. So all we are left with are memories and relics of this past era. Having recently returned from a holiday in Suffolk / Norfolk, I found time to visit a couple of old airfields (Thorpe Abbotts and Bentwaters) and I am determined to discover more, so your website that I’ve just found is inbaluable. I have discovered the excellent Lincolnshire Aviation Trails so this will be my first ‘mission’…..only 90 odd airfields to choose from!! All i need now is the time……..!! We must be around the same age. 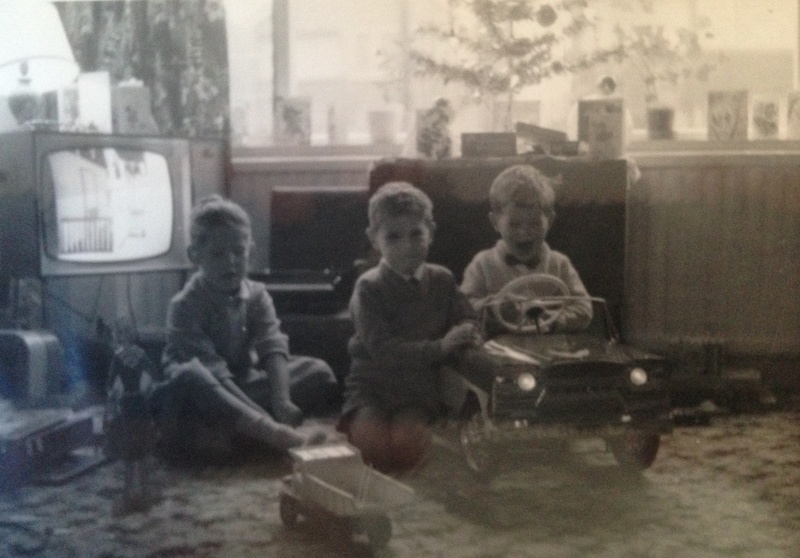 Your photo from Christmas long time ago look a lot like mine–little black and white TV in the background. I now live in an area that experienced many civil war battles. Over time, stores and houses began to cover over some of the battlefields…..AND then, the U.S. National Park Service began to step in save some of the areas. Which is a good thing. When I was very young, I wanted to grow up and be an astronaut. That was before I found out that I’m rather claustrophobic…after that, I changed my mind about the astronaut thing. I can remember that TV very well, we had it for a number of years and it took an age to warm up! That must have been taken in the late 1960s, so that gives you an idea! It’s good that the national parks have intervened, these places need recognition for their historical Value. I guess claustrophobia is not a good thing to have if you want to spend months In a tin can floating around space! Hopefully you found a suitable replacement role that’s just as satisfying. As readers and obviously the author of this blog are obviously aviation enthusiasts, and possible admirers of the activities of the USAAF during the former dispute with Herr Schicklguber and his cohorts, perhaps you might be interested in reading a comparatively short novel which I wrote as my own tribute to the 30,000-odd Americans who flew, fought and died during those long, desperate years of War. I wrote American Cemetery about ten years ago, and really do believe that the sound of four Wright Cyclone engines as they hammered across the sky was the true ‘Sound of Freedom! Thank you for the note. It sounds like an interesting book that I would enjoy, I shall look out for it and see if I can find a copy. Thanks for coming by. I love your emails. I have a fascination with WW2 AIRFIELDS as I live near Winthorpe airfield so am surrounded in all directions by them from Wittering in the South to Wigsley in the North to Newton in the West and Swinderby in the East. It’s such a shame that so much of our important heritage and history is neglected. Maybe we should all meet up in the summer, say have a word with The Petwood Hotel as I’m sure they’d set aside the Lancaster bar (AMAZING!) and some sandwiches/cups of tea for a resonance cost. I can’t think of anything better than a group of fellow enthusiasts sitting chatting in 617 Officers’ Mess! Maybe you should email everyone who you send the airfield trails too and gauge interest. I’m sure we’d all find it extremely informative and be able to swap information! I have a friend works at Scampton and can arrange a free tour of non other than the Dambusters very hanger, the grave of a certain dog, and you can sit in Guy Gibson’s office!! of like minded people together at the Petwood! Oddly my colleague at school was there over the weekend and is going to Scampton on Saturday for the tour! My appetite has been wettened! Hi Richard, no it’s not I’m afraid. I do know a ‘dangerous Dave’ is on Twitter if you are interested! Great to see you still about mate, what are you up to these days? You still using Facebook? I have just stumbled across this website, it has some interesting stuff on and I will be following with interest. I have been rebuilding my website over the past year and it’s a very slow project but I am getting there! I’m still around buddy, just not on Facebook due to my intolerance to stupid people! My email address is my username @hotmail.com if yiu need to get hold of me. 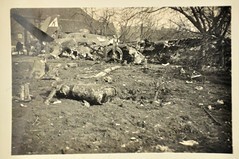 Do you know when USAAF Station 118 (Wendling) closed down. 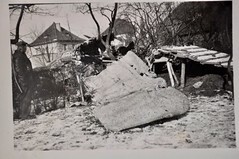 I believe that the 392nd Bombardment Group (H) left Wendling in June 1945, but I am seeking more information as to actual dates. Do you have or can you direct me to websites that have such information? No problem. The books I have state that the 392nd pulled out in June 1945 as you say, all flying then ceased although the base was ‘active’ usually classified as in ‘care and maintenance’ until November 1961. It was then sold off, by the Ministry of Defence, in 1963. I don’t have a date when it was sold other than the year. Whilst under care and maintenance, these sites usually remain dormant with a small contingency unit who look after it. Once they leave it falls into decay until sold and demolished / dug up. Most sites I have / can find don’t go beyond 1945 probably as there is little to say about them. Wiki give slightly more information here http://en.m.wikipedia.org/wiki/RAF_Wendling. But I don’t know how accurate they are. Hope this helps. I’ve just shared a link to this page on my twitter account, maybe people can offer advice then. Also, if anyone is interested I have a friend who arranges talks from WW2 veterans quite often including THE Johnnie Johnson from the Dambusters Raid. I’ll try to let you know when the next one is. They are usually along the A1 coridoor just North of the A1 and are fascinating. Thanks Dave. I know of folk who would enjoy that as long as it’s a weekend due to work etc. Do let me know when the next one is I’d be really interested and sure I might be able to drum up some support. Not that it needs it I’m sure! Thank for assign the link very much appreciated! Andy. I wish I’d found your site earlier. You’ve done such a lot of work, some great photographs. A labour of love, obviously. Thank you for your kind words. It has been a lot of work driving round and finding out about these places and the people who served there. I believe we need to keep their memories alive. It has, as you say, been a labour of love. Many thanks. Hi mate. I have sent out some invites to the Facebook page to some people I know who might be interested. Thanks Tony. Still trying to get my head round it all!! Your blog is fantastic, I am so happy I came across it! I, too, love aviation, and am deeply saddened whenever I see empty, decrepit airfields and rusting aircraft. Thank you so much for sharing such wonderful stories and photos! Thank you for your kind comment. It is a great shame to see such historic places going to waste all those lives deserve better. Thanks again. The book only covers 8th Air Force bases, but if you don’t know the book, you might find it interesting. Kaplan, Philip. One Last Look. New York, NY: Abbeville Press, 1983. Thank you. There are a huge number of books on the subject also now the internet is full of photos not previously available. 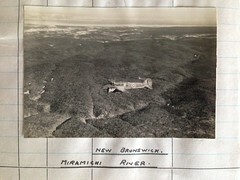 Those that show the original fields are perhaps of more historical interest and hold the harder to find original photos. Thanks very much for the heads up I shall seek it out and take a look. Much appreciated. I think you will enjoy the book. This is a very nice blog that you have, I look forward to exploring it. I really like seeing what’s left of some of these disused bases. Thank you for the kind words. I hope you continue to find articles of interest, any suggestions you have are kindly welcomed. Thanks for the comment and the links. I try where possible to cover groups and have generally concentrated on those closest / where there are cheap hotels or I’m travelling anyway – hence Norfolk and into Suffolk. I want to cover further into Lincoln particularly as it was my fathers area and Binbrook is most definitely on that list. I remember going to Church Fenton as a child and again those to the north are on the ‘to do’ list. It’s a race against time to capture what is left if these places, even close to here we have recently lost Waterbeach, Upwood, (coming soon) is earmarked for housing and Oakington is to be built upon, time is most definitely running out. Many thanks for the links, I shall take a good look, perhaps a holiday to Yorkshire is needed! Aviation Trails is the one who found my blog about 249 Squadron. Hi, a fascinating read. My father served with 249 sqn 1949 into the early 1950s in Habbaniya, where they had Tempests amongst others. A little after this time I know, but this is the first connection to anyone from that same Squadron I have been able to find. A super read! It’s a sincere pleasure to meet you. Hi there, it’s good to meet you too, love the posts on the blog, some fascinating reads. Very nice site – come over to Cambridgeshire, I run on the former sites of RAF Mepal and RAF Witchford – the latter having more remaining features. I’m not expecting you to run!! Hi Ian. Was at both sites a few weeks ago had a fabulous walk (not run) round both. Enjoyed the fabulous museum at Witchford too. Trail 11 covers both Mepal and Witchford it should be it up soon! You are to be highly commended. I would be only too pleased to help in any way with your venture. I’ve often thought of doing much the same as you have now done, boving ut you did it. I’m now based in Gloucestershire, but was born and raised in Bedford. Moving to Rushden took me to the heart of so many old airfields… Chelveston, Poddington, Kimbolton,… you know them all. Thank you very much for the kind and supportive comments, I’m so pleased you enjoy the trails and share the passion. it’s been a big interest of mine for years, often standing imagining the scene and what it must have been like all those years ago. There are many more trails to come in the near future and it would be great to share your experiences. I am currently looking into ways of offering readers an opportunity to add their own guest posts. I’ll let you know when this is up and running, would love to have your contributions! All the best Andy. Hi Fran, Got the message! Glad you like it, working my way round it, updating regularly at the moment with little tweeks and new uploads.